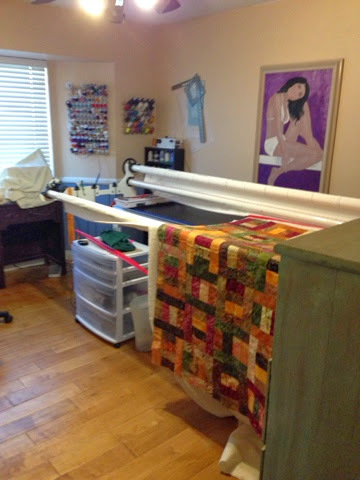 I have been working on my sewing room all weekend. Until last Sat. 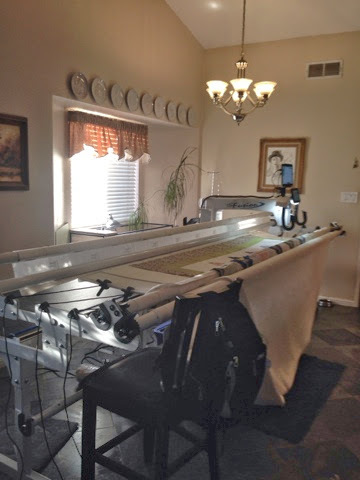 My longarm quilting machine has been sitting in my dinning room. Taking apart this hugh machine is not for the faint of heart! My hubby didn't seem to be thrilled about it but we got it done. I have 4 sewing machines in this room! 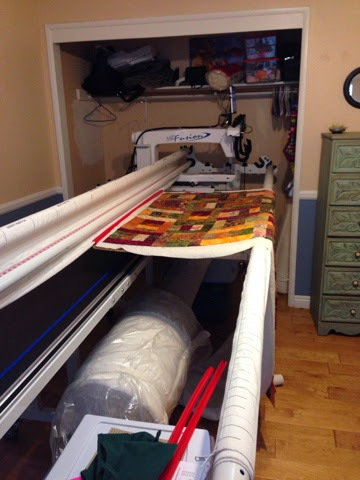 I had to move the longarm into the closet to fit them all into the space. I love this space now! All that was missing was some sound! I know you were probably wondering were this was leading based on the title of the post! 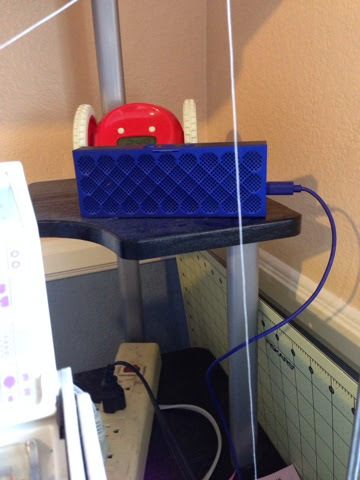 I have been using my iPad to watch (more like listen to) Craftsy videos or movies but I couldn't really hear it over the sewing machine. 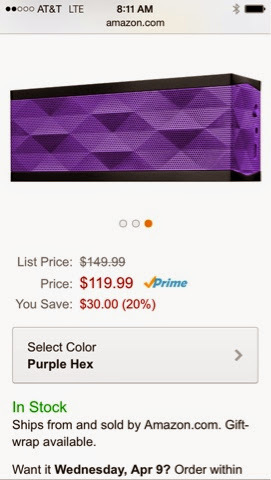 Yesterday I decided to look at buying a speaker for my iPad or IPhone. I spent 2 hours at Best Buy testing all the Bluetooth speakers on display! I think the employees thought I was going to camp out there! I finally decided on a jawbone speaker! Here is the thing.... I paid too much for it at Best Buy! So if you need one go to Amazon instead! I do love it though! I can take it anywhere. By the pool, to the sewing room or on the go to the beach if needed! I love technology! Bets the transistor radios we had when I was a kid! Here it is next to the Pfaff!